iEnzyme+ is a proprietary blend of proteclytic, lipolytic, and carbohydrolytic enzymes specifically designed to aid the digestion of proteins, fats, oils and carbohydrates. Whole plant foods can create a unique problem for human digestive system. The Proteolytic Enzymes in iEnzyme, contained Protease 4.5 and Bromelain, are used to help digest protein to produce amino acids, which are important building blocks in the human body. The Lipolytic Enzyme (Lipase) helps in digest fat and oil. Supplementing with Lipase can help the body to properly digest the excessive fat being eaten in today's typical high fat, high carbohydrate diet. The Carbohydrolytic Enzyme contains 10 types of enzymes: Amylase, Glucoamylase, Alpha-Galactosidase, Invertase, Cellulase, Pectinase, Hemicellulase, Beta-glucanase, Xylanase and Phytase. This combination of carbohydrases is designed as a comprehensive approach to carbohydrate digestion, which allows for a more complete digestion of the carbohydrates consumed. This enables a person to properly digest and receive the maximum amount of nutrients available from their carbohydrate intake. 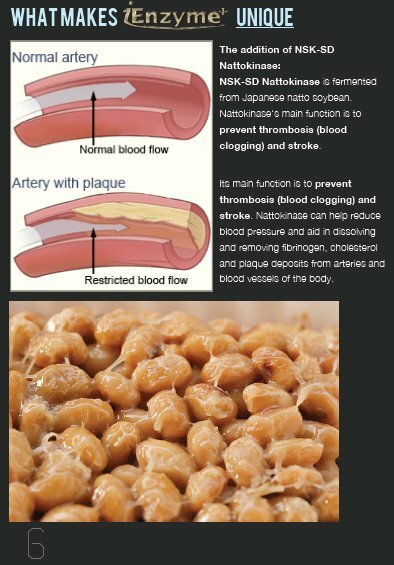 Besides, it also contains Inulin which is highly effective prebiotics for the health of your guts. So I received 6 sachets of iEnzyme+ for testing! *btw the vouchers given to be shared to my readers has already expired, but no worries! 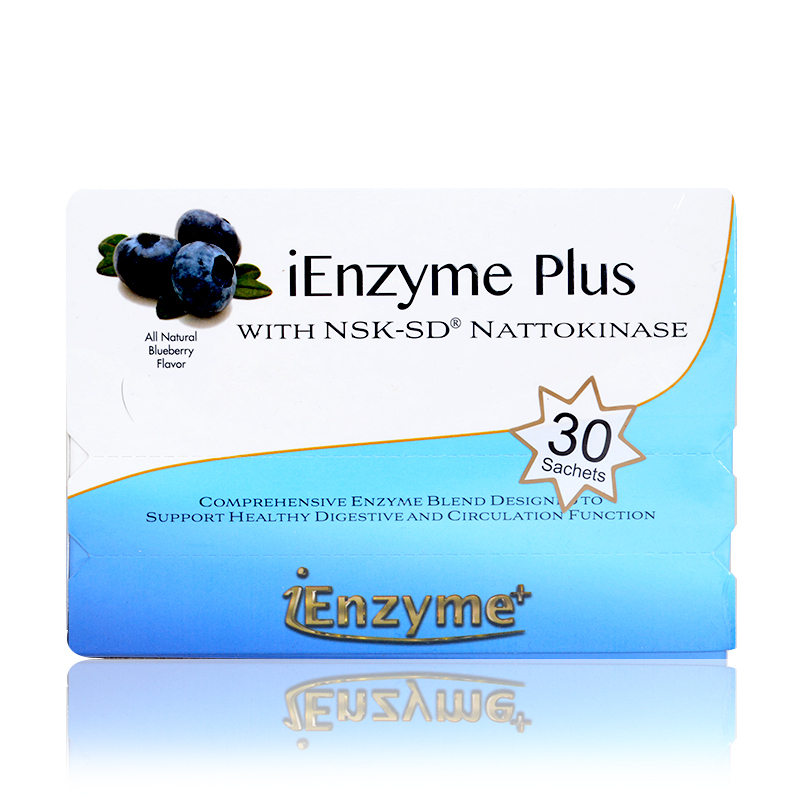 In short, iEnzyme+ is enriched with Nattokinase to promote healthy digestion & blood circulation. Direction: iEnzyme+ can be consumed directly in powder form, or mixed with 100-150ml of cold water or lukewarm water based on the user preference. The product can be consumed anytime any day. It is recommended to consume after a heavy, oily or meaty meal, like steamboat or buffet. The enzyme will help to ease indigestion and relieve discomfort. The first time I tried was with cold water. I just approximate the amount of water and consume it after I feel the taste has started to lighten. I also did tired on the powder form after my first time. I poured the whole packet of powder into my mouth directly. After the powder was mixed a little bit with my saliva and turns molten, I chew it like eating soft sweets! Taste: Before I started to try on iEnzyme, I'm afraid that it taste like other digestion supplements I usually consumed (yes it taste super bad, it will makes you vomit before it cure yours! :o). But when I opened the packet, I felt so happy because the smell is one of my favourite flavour! It's actually sort of blackcurrant or raspberry smell! If you're okay with this flavour, this is definitely okay for you! Consumption: Super duper easy! You only need a glass of water and pour a sachet of powder into the glass and, enjoy! Just like how you drink your water after a meal! I actually preferred to consume it in the powder form because it's faster and convenient if I'm in outdoor for party or gathering with friends! I can just throw a few sachet of it into my handbag and use it after my dinner with friends! Moreover, the feeling of 'chewing' the powders is very fun!! Haha! Results: After I'd tried on 4 sachets after my heavy meals, I really felt that the count of my 'burps' and 'putts' decreased! Normally I burp more than usual after my unhealthy meal (like fast foods or nasi lemak) during my exam periods! It feels great!